This ebook (downloadable A4 PDF format) covers the many different ways indigo can be dyed – from fermented vats using fresh leaves, to the sugar lime vat. Since its premier to participants of my course at the biennial summer school of Weavers Spinners and Dyers at Falmouth in August 2007 I have had many positive feedbacks on how easy it is to read and to follow as well as success stories from those who have succeeded to dye with Indigo as a result of reading it. It has now been comprehensively updated with extra chapters. I have expanded on the fermentation vats and there is also a chapter on the Sugar Lime Vat which, is excellent for cottons and silks using an eco vat of fruit sugar and builders lime. 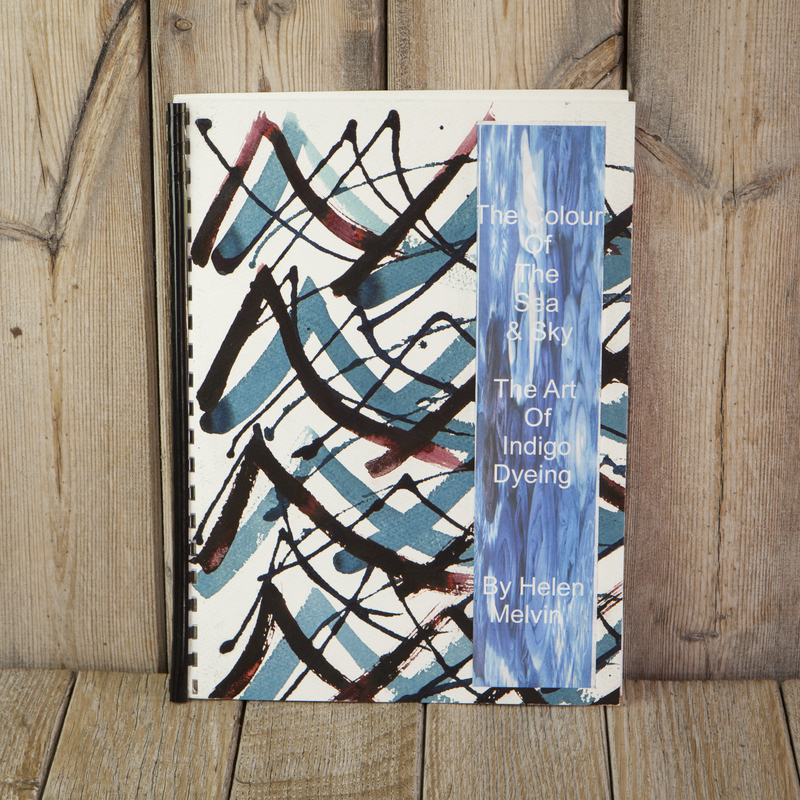 Colour of the Sea and Sky is an A4 booklet of 39 pages comb-bound with covers handpainted in natural dye inks. The cover may differ from the photograph shown.